Black, Jenna. Nightstruck. Becket, an ambitious but ordinary teenager, was walking her dog one night when she heard a baby cry. Going to help, Becket is tricked into opening a door between worlds, allowing a dark magic into the mortal world. As the magic trickles in, you better be inside or you'll face the changes in the night. Innocent everyday items and buildings grow fangs, tails, and eyes. People become the Nightstick. Bosworth, Jennifer. The Killing Jar. "I try not to think about it, what I did to that boy." Kenna Marsden has a secret. She's haunted with the burden of knowing she killed a boy and she can't explain how. Now, the boy's dad seeks revenge. Bracken, Alexandra. Passenger. Etta's life has suddenly become very confusing. In a whirlwind of events, she finds herself in the 19th century on a boat filled with (legal) pirates, discovers that she had the power to time travel, and finds out that a family called the Ironwoods has her mother and wants her to find an object called the astrolabe. Nicholas, a pirate from the ship she sailed on, comes with her, and together they begin a journey to save Etta's mother. Buxbaum, Julie. Tell Me Three Things. A new city. A new step-monster. A new intimidatingly prissy private school. As Jessie transitions into L.A. life, she feels like everything about her is wrong. When she receives an email from a person called Somebody/Nobody, or SN for short, they offer to be a much-needed guide to her new school. As Jessie becomes increasingly close to SN, she can’t help wanting to meet them in person. But are some mysteries better left unsolved? Braswell, Liz. Once Upon a Dream. In a battle of past, present, and future, Princess Aurora must face her true past, face her fears, and fight for the future. If she doesn't, she will lose everything at a time when she only just found something to live for—true love. In a journey of self-discovery and a quest for confidence, Liz Braswell once again succeeds in writing an excellent twist to one of the classics—Sleeping Beauty. Clare, Cassandra. Lady Midnight. It’s been five years since the events of City of Heavenly Fire that brought the Shadowhunters to the brink of oblivion. Emma Carstairs is no longer a child in mourning, but a young woman who just wants to prove that her parents weren't killed by Sebastian in the Dark War. Now she has the chance to do just that, and get Mark back from the wild hunt. Dennard, Susan. Truthwitch. The Witchlands and its three respective Empires are home to many different types of witches. Safi and Iseult, best friends, both have incredible powers. Iseult, a Threadwitch, can see the invisible threads of the world that bind people together. Her dark past, however, threatens her new found life as secrets and burdens long since forgotten come back to haunt her. Safi, a Truthwitch, is able to tell a man's truth from his lies. The rarity of her magic has forced her to keep it hidden from the world, but the wrong people have unearthed her secrets and both she and Iseult must use any means, or magic necessary to protect themselves and each other. Dinan, Kurt. Don’t Get Caught. Think of all the pranks you have ever wanted to pull. The pranks in this story will top your wildest dreams. Don't Get Caught is story of a competition between two teams of pranksters. The new kids on the block vs. the anonymous Chaos Club. In this war, cunningness and lots of luck will be the way to victory. Let the pranks begin! Federle, Tim. The Great American Whatever. This novel shows us inside the mind of Quinn Roberts, a 17-year-old boy who lost his sister to a car crash six months prior and who strives to write screenplays for real movies. We follow Quinn through his challenges with his grief, his new-found love, his discovery of secrets about his friend and sister, and his reluctance to let go, to stop living in the past and follow his dreams in the future. Freedman, Russell. We Will Not Be Silent. An inspiring recounting of the brief and tragic lives of the Scholl children and their influence on the world's perception of Nazi Germany. This true story highlights everything from their early lives as members of Hitler youth programs, to their adulthood careers as Anti-Hitler activists. Glasgow, Kathleen. Girl in Pieces. Charlotte ‘Charlie’ Davis was a girl who used to cut herself with glass, until one day she tried to kill herself. We follow Charlie on her journey through rehab and beyond. Her story is one of love, heartbreak, and coming of age, about a normal girl and the painstakingly horrible truth of her pain and sorrows. Gout, Leopoldo. Genius: The Game. Dive into a new type of teen-genius novel as Gout pulls you into a rollercoaster of a plot. Hilarious and smart, Cai, Tunde, and Rex show readers what the next generation of innovation looks like. Hamilton, Alwyn. Rebel of the Sands. Amani Al’Hiza is a gifted gunslinger with perfect aim, but she can’t shoot her way out of Dustwalk, the back-country town where she’s destined to wind up wed or dead. When Amani meets foreigner Jin, she sees him as the perfect escape route. This Aladdin-meets-dystopia fantasy follows Amani’s adventure through the desert of Miraji, using her sharpshooting skills and her wit to survive the dangers created by the djinn and the Sultan's army. Kincaid, S. J. The Diabolic. Diabolics are human-like creatures genetically engineered to spend their entire life doing whatever it takes to serve the person they are bonded to. They love their masters with every fiber of their being, and are willing to kill and die for them. Nemesis is a Diabolic. And when her master, Sidonia, heir to the galactic senate, is summoned to court by the Emperor to answer for her father’s misdeeds, Nemesis must protect her at all costs. But how far will she have to go in order to protect Sidonia and the empire from crumbling in the hands of the Emperor? Landers, Melissa. Starflight. Solara needs to get to the outer realms, and it seems becoming an indentured servant to Doran is the only way for her to get there. When Doran discovers the secret she carefully kept from him, it seems that she won't reach her destination after all. In a bizarre turn of events, Solara becomes the master, and Doran the slave. This adventure may end up being a lot more hectic than it seemed it would be. Martin, Emily. The Year We Fell Apart. Few things come as naturally to Harper as epic mistakes. But her worst mistake was destroying her relationship with her best friend, Declan. Now Declan is back from boarding school and has changed quite a bit. Harper has changed, too, especially in the wake of her mom’s cancer diagnosis. And while she wants to make things right with Declan, he wants nothing to do with her. The Year We Fell Apart is an amazing story of love and second, maybe even third, chances. McIntosh, Will. Burning Midnight. In a futuristic world, millions of spheres have appeared, and burning them makes people a little better: an inch taller, skilled at math, better-looking. However, there are some spheres that people will do anything to get their hands on. When a sphere is found that no one has ever seen before, Sully and Hunter have to decide what to do with it. Meyer, Marissa. Heartless. The infamous line "Off with his head!" made her a terror in Wonderland. But before that she was just a girl with a dream, who fell in love. In this curious prequel inspired by Lewis Carroll's famous Alice in Wonderland, Meyer’s tale of eccentricity, phenomenon, and, ultimately, ruination will keep you on the edge of your seat as you realize how Cath led her life to become the Queen of Hearts. Mills, Wendy. All We Have Left. 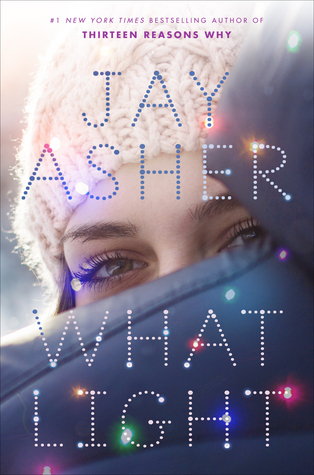 In 2016, Jesse is trying to navigate life as a teenager with the death of her brother on 9/11 still haunting her and her family. When Jesse gets caught up with the wrong crowd, one momentary hate-fueled decision turns her life upside down. In 2001, Alia, a proud Muslim, goes to see her father at his Manhattan office. When the planes collide into the Twin Towers, Alia is trapped inside one of the buildings. Nijkamp, Marieke. This is Where It Ends. Four students, all connected in one way or another, speak from their perspective over a terrifying 54 minutes when, after a school-wide assembly, the auditorium doors won’t open and someone begins shooting. Russo, Meredith. If I Was Your Girl. When Amanda moves to Lambertville, Kentucky after a string of bullying incidents led her to attempt suicide all she wants is to lead a normal life, make friends, and generally be happy for once. All of this seems possible until she meets Grant, who causes her to let down the walls around her heart. But the problem is that Amanda's past is haunting her. And in her past, she wasn't Amanda, she was Andrew. Shusterman, Neal. Scythe. Humanity has overcome hunger, disease, war, and even death. Now only Scythes can take life. What will happen to Citra and Rowan when they are chosen to be Scythe apprentices? Follow them as they struggle with their task and morality. Welch, Jenna Evans. Love & Gelato. After the death of her mother, Lina goes to visit Italy at her mother’s wish, as she’d lived in Italy for part of her life and loved it immensely. While in Italy, Lina discovers some well-kept secrets about her mother's life there and Lina's mysteriously absent father. West, Kasie. P.S. I Like You. Music has the power to bring people together. When Lily writes a lyric of her favorite indie band on her desk, someone else responds. Lily and her mysterious friend seem to get closer and closer through their anonymous notes. What happens when she finds the true author of the notes? Williamson, Lisa. The Art of Being Normal. Since birth, David has felt different, and only his two best friends know the real truth: he wants to be a girl. After meeting and befriending Leo, a fellow member of the trans community, David prepares to come out to his family and transition into life as a girl, while Leo wrestles with figuring out how to deal with people who try to define him through his history. To help celebrate National Trivia Day, Mental Floss has the following fantastic facts to help celebrate the day. Stop by the library to check out the recently arrived new titles! 9th grade students learning about the updates to Google Classroom.